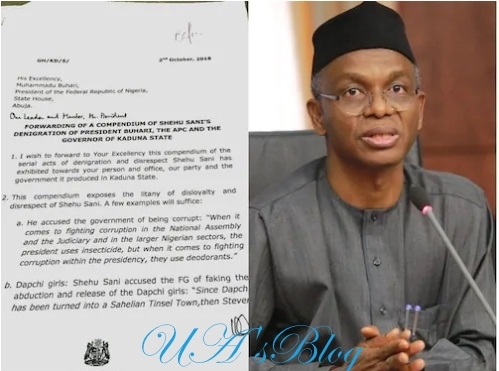 Governor Nasir El-Rufai of Kaduna state, has allegedly written a letter to President Muhammadu Buhari listing the sins of Senator Shehu Sani, representing Kaduna central district. Ujuayalogu'sBlog gathered that El-Rufai, in the letter dated October 2 reportedly said President Buhari directed him to initiate the recall of Sani, senator representing Kaduna central district, over acts of contempt and disloyalty. 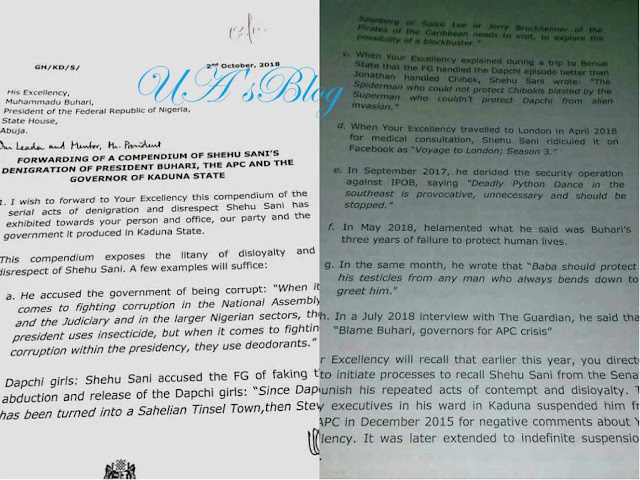 He also said Sani through his reckless actions made the Senate deny Kaduna state of $350m world Bank loan. 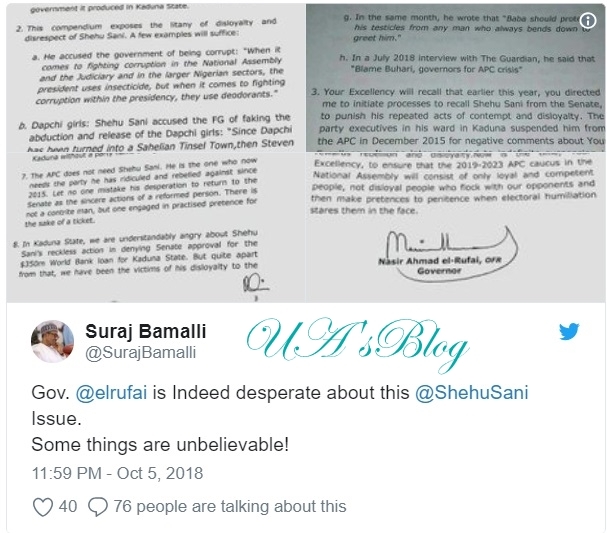 El-Rufai said it is clear that the APC does not need Sani but that the lawmaker needs the party, adding that the senator opted to leave the ruling party for the Peoples Democratic Party (PDP) but that the arrangement suffered setback after he failed to secure APC ticket. In a previous report by NAIJ.com, the senator representing Kaduna central at the Senate, Shehu Sani, hit back at those who want him to leave the All Progressive Congress (APC), saying that his critics should seek doctor's help to avoid getting hypertension.